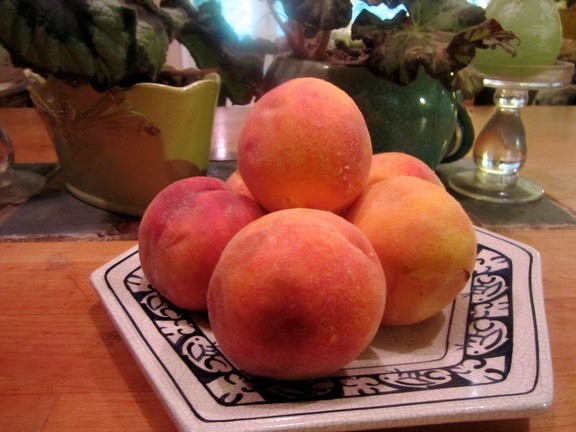 I went to a friend’s house yesterday and she had a window full of ripening peaches. She’s from Georgia; so she knows her peaches, and I immediately thought it must be time! I always wait till good peaches come to the local farmer’s markets before making our favorite summertime Peach Crisp.